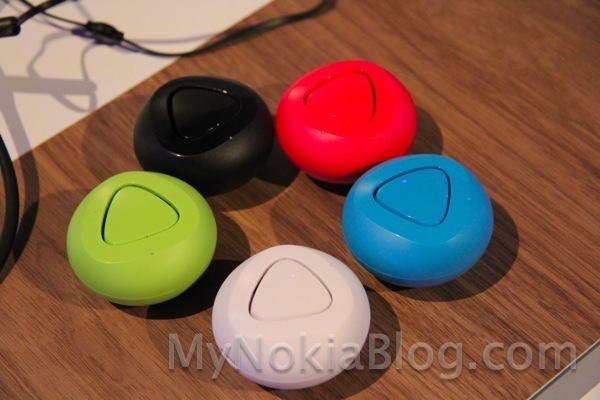 Let’s take a look at the cute looking Nokia Luna NFC Bluetooth earpieces. They come in their out-of-the-worldly spaceship docks, shaped like coloured pebbles, almost kinda like giant mentos. Releasing turns it on. The dock is where the NFC is housed, tapping this on compatible NFC device pairs it. The earpiece itself is quite small. 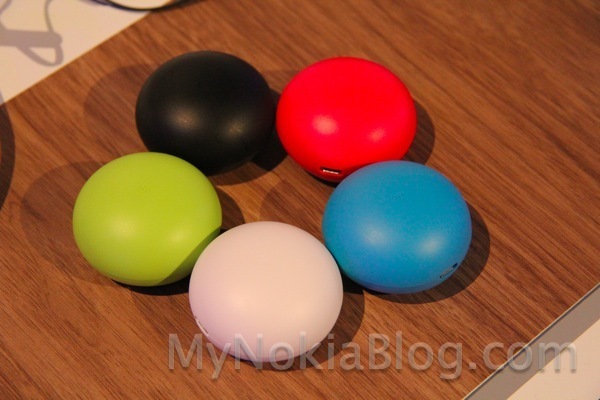 I love the bright colours – these go well with the Nokia 603 which shared the same launch. I don’t know if this suggests you can wear two. 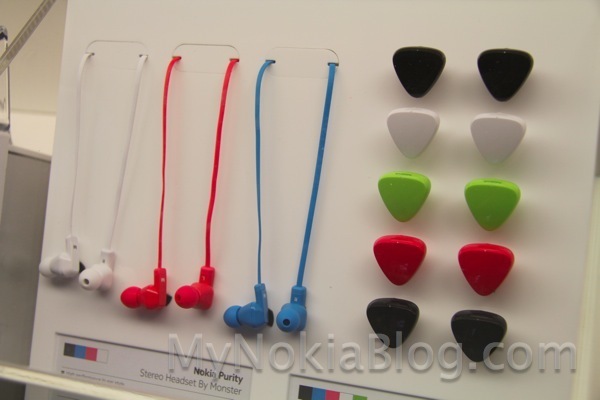 The wired headsets are the monster branded Nokia Purity in-earphones. Here’s the rest of the gallery. « PocketNow’s Hardware and Software tour of the Nokia N9.